Google's webmaster trends analyst John Mueller expressed the "difficult decision" in a Google+ post. 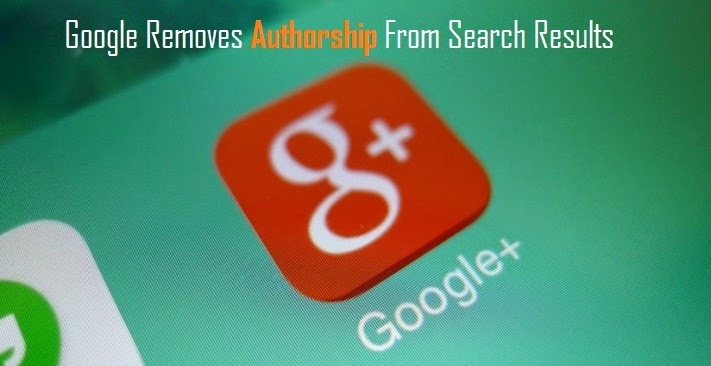 This post reveals that Google will stop showing authorship in search results. Google's authorship support page shows "Authorship markup is no longer supported in Web search," and encourages bloggers and webmasters to look into rich snippets to improve their search results. According to John Mueller, while checking removing authorship as a test; it did not generally appear to reduce site traffic or increase ad clicks. Mueller adds "We've gotten lots of useful feedback from all kinds of webmasters and users, and we've tweaked, updated, and honed recognition and displaying of authorship information. Unfortunately, we've also observed that this information isn't as useful to our users as we'd hoped, and can even distract from those results." He also cheered up for webmasters for their efforts to improve their websites. He says Google Search users will continue to see Google+ posts from friends and the pages that are relevant within the main results and on the right-hand side. As per him, "authorship change doesn't impact these social features." Lets see the effects of the authorship removal from Google SERPs.